For repeatable templates such as the cupcake circles, you can choose to add the same design across each topper. You can find this below the design object on the right hand side. 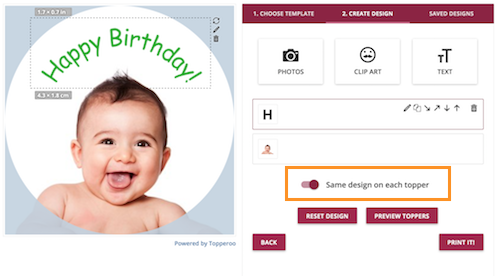 You can then preview your design by pressing the preview button, to see your images and text duplicated across each topper.